Today I am going to give you an overview Of My Dot Com Business and answer the questions , ” What is My Dot Com Business”,” Is My Dot Com Business a Scam ” and “What is My Dot Com Business Pro”. Earlier this year ,April 2018 , I signed up for an online work at home opportunity that I was skeptical about. But I was curious to see the workings of the My Dot Com Business system, so I went for it . Verdict: Not recommended. See my top recommendation to make money online . The business model is selling High Ticket training and software and was created by Paul Lynch , Phil Carrick walks you through the setup and some of the training within the members area. There are some done for you sales funnels including optin pages that you promote to get new members under you . This in my opinion is below average because of the generic natural, all the affiliates are using the same material. You get access to Sell the products and training accessible through the members area , you can set your own price for the products you choose to promote at a suggested price range. 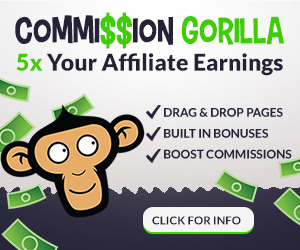 Basically it is a “Done For You” affiliate marketing system , you still need to get your own traffic as in any affiliate program. As the name states it is a pro membership , it is a one time fee of $77.00 and you get some free traffic sent to your affiliate link to get you started, I believe it was 30 new signups to get you going. You also get access to the Easy Sketch Pro video software that you can use to market any affiliate promotions or what ever you want. There is some further training on Facebook but mainly the training , at the time I signed up was focused around promoting with Solo Ads , this material can be found fro free online anywhere. The dash board is easy to navigate and the content inside the members area while nothing to rave about is average if you are just starting out with affiliate marketing . There is a Face Book Group that you can join and interact with other members. The easy sketch Pro tool and the included upgrades of backgrounds and images is fairly comprehensive . i give it a good rating because you can use it to promote anything you want, you also get a commercial license with your pro membership. This program has no good reviews and I mentioned this to the sales rep that called my after going Pro. This is a necessary process that you have to follow if you want the 30 free signups . At this point the sales rep tries to up sell you on buying the My Dot Com Business Franchise , I think the cost was $4500.00 ,I chose not to buy in . I did get the free traffic they mentioned , receiving my 30 new members added to my autoresponder . Sadly, none of the new signups opened any other emails I sent through my Get Response account . In thinking about who would this system be good for , I would have say the creator Paul Lynch . While there are some tools and training that are except-able, overall My DOT Com Business came up short for me. The affiliate products that are included within the sales funnels are overpriced in my opinion. I am sure you could head over to warrior Plus or JVZOO and find better options . There is a support page but I never had to contact them , because of this I can not comment as to if it is good or poor. This work at home opportunity is not a Scam , the pro upgrade is expensive for what you get , in answering the question what is my dot com business. It is an overpriced sales funnel that you sign up for, in the hopes that you can be SOLD on buying the franchise. Yes I am sure that there are some affiliates that make a few sales, there are some achievements posted on the Facebook page. But overall I believe there are better options for less money upfront. I’ve seen too many scams online and this one leads me to believe it is a scam too. If the people who are looking for an opportunity to make income online, wouldn’t have that kind of money to pour into a sales funnel. This to me is not the right way to start an opportunity online as it’s only one aspect of online marketing. I agree with you, there are better opportunities out there. Thank you for taking the time to warn us of the truth about this opportunity. thank you for your comment , to many get rich quick programs that promise to solution, they don’t work plain and simple.. Believe me I have tried a few !! Hi; The business that you are about, The name of the business have an attractive flair. From the way you have defined this business, those who are eagar to work at an online business, who never known anything about Wealthy Affiliate if they have the money to pay they will sign up for the business. The 30 new members that were added to your Auto responder might not be active enough to earn you a profit. However, for the boss you would have to prove them inactive. One of the sad things with some of these online opportunities, is that you cannot know the truth about them without you join their program. Someone asked me about My Dot Com business recently. I’m glad I found your article because, I hadn’t heard of it yet. A quick google search had me feeling sick to my stomach as someone had likened it to a ‘copycat’ of Empower Network. *Pauses for cringing* Unfortunately, I was bamboozled (to put it lightly) from EN and several others of the same dastardly ilk. I thank you for the candid review. I had to laugh at “PRICE: Free , to way to much” at the closing of your article. So true…the fees and massive up-sells are astronomical. I’m with Rick on this one. I hope your readers will steer clear and take your better recommendations to heart and, to their wallets! This is my first time hearing about My Dot Com Business. From what I read it seems like it only sets you up with a website to sell product, but not very much after that. I agree with your opinion about it, I wouldn’t recommend joining this site either. I’m still sort of confused about what they have to offer. I feel like if they offered training on how to bring traffic to your website, I would find it more helpful and beneficial. But if that isn’t included in the training, there will be no purpose in trying to sell products with no consumer base to sell it to. Thank you for your opinion on my dot com because I saw some adds from it and I was wondering what it is about. I am a newbie in this kind of environment and I was wondering if this one could be a good one. Where it was interesting it’s about the traffic they bring to you, but they don’t show you how to built a website and bring traffic. I’m happy that I read your article because I can have a opinion from someone who’ve been doing that for 5 years. Oooh dear Rick, I’m glad a came across your review. I had heard of this platform, although I wasn’t planning to explore it just yet. I think now, after reading your advice, I might just give it a miss. You mentioned a few things that I found not promising, nor reassuring. But the one thing for me is when you are forwarded to a Facebook page for training or further guidance. I call that cutting corners.